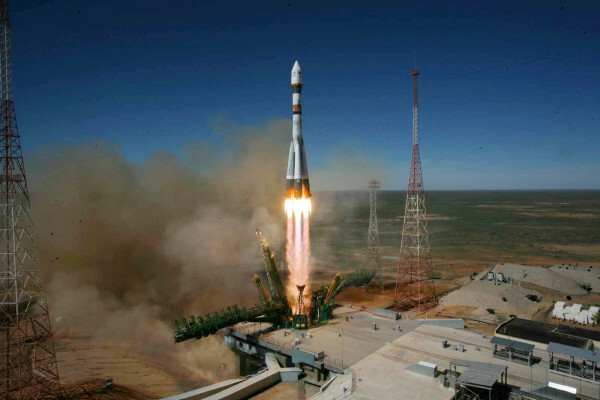 Soyuz-2-1a is planned to launch Friday, April 19, 2013 at 1000 UT from Baikonur in Kazakhstan. 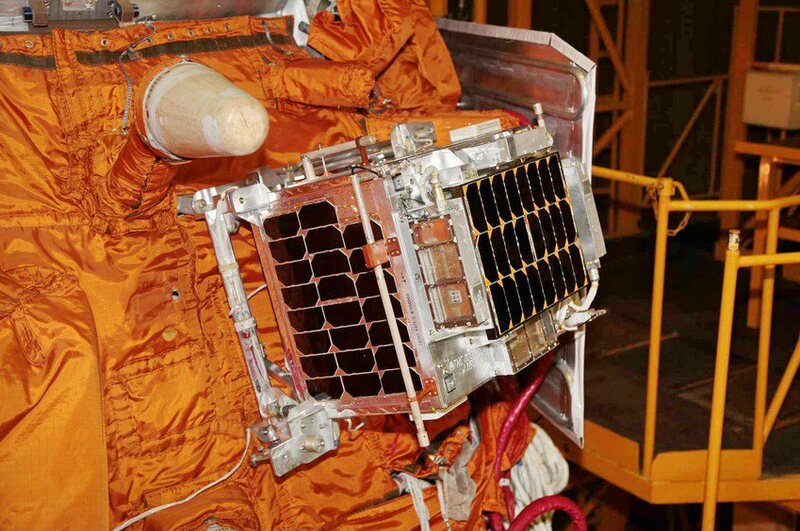 Among the satellites it will carry are four CubeSats with amateur radio payloads, OSSI-1, BEESAT-2, BEESAT-3 and SOMP. 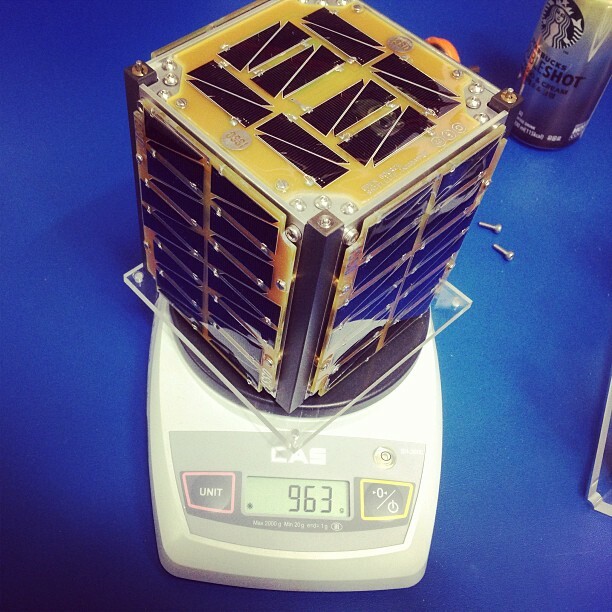 Unusually the CubeSats will not be deployed straight after launch. Deployment of OSSI-1 is expected to take place after the 4th orbit and BEESAT-3, SOMP then BEESAT-2 are expected to be deployed at 16 second intervals after the 32nd orbit on Sunday, April 21 at around 1045 UT. 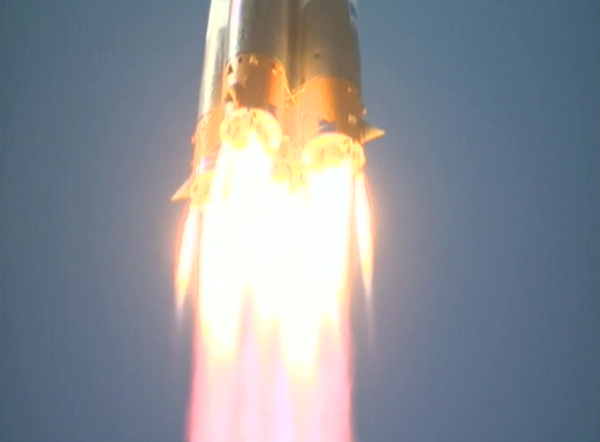 Until then orbital maneuvers will be carried out to achieve a circular orbit at 575 km altitude. It is expected that the four CubeSats may be deployed at intervals of about 16 seconds. 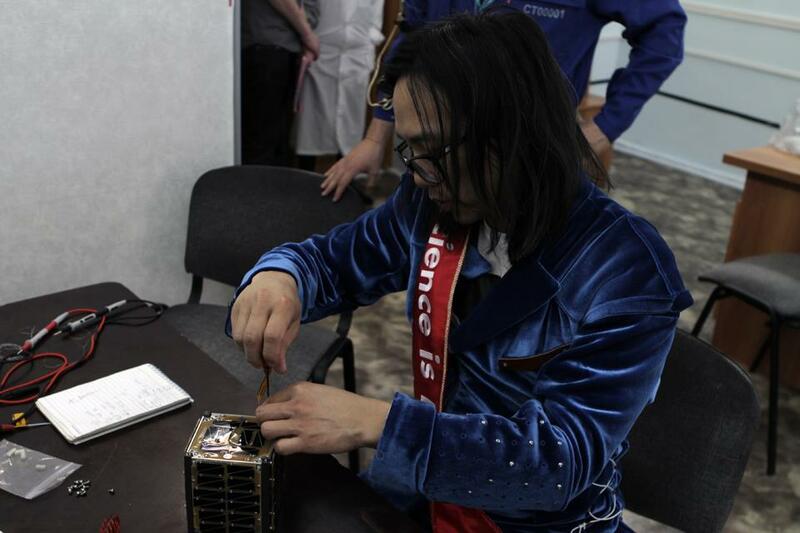 AIST is a russian microsatellite developed by designed by a group of students, postgraduates and scientists of Samara Aerospace University in cooperation with TsSKB Progress. Believed to have a 435 MHz downlink and an 145 MHz command uplink. 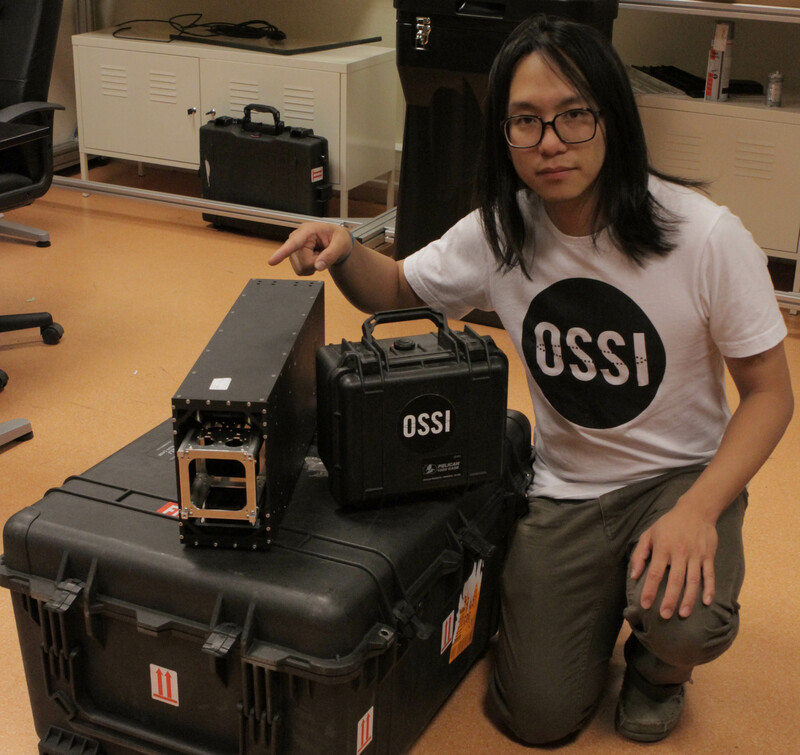 Korean artist Hojun Song DS1SBO has spent 7 years developing his Open Source Satellite Initiative satellite OSSI-1. He has designed and built it from scratch using readily available components rather than expensive space qualified hardware. It has a 12 WPM CW Morse code beacon on 145.980 MHz, a data communications transceiver on 437.525 MHz and carries a 44 watt LED optical beacon to flash Morse code messages to observers on Earth. The Berlin Experimental and Educational Satellite 2 is a 1U CubeSat project intended to test a reaction wheel and an Attitude Determination and Control (ADC) system. It will also carry an experimental camera. A 1U CubeSat project intended to test a transmitter using commercial S Band frequencies outside the amateur satellite service but will have a downlink on 435.950. It will have passive attitude control. 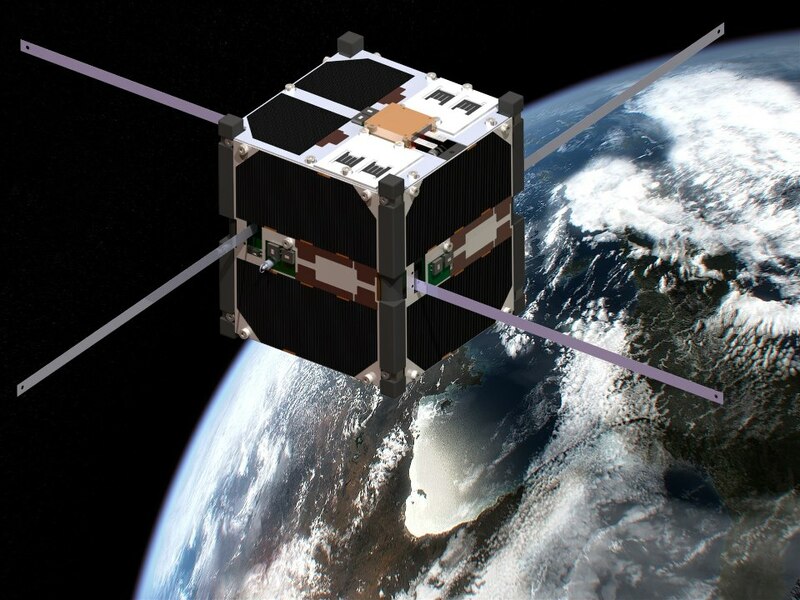 The Dove-2 mission is a technology demonstration nanosatellite for Cosmogia Inc. for remote sensing purposes based on the triple (3U) CubeSat form factor. 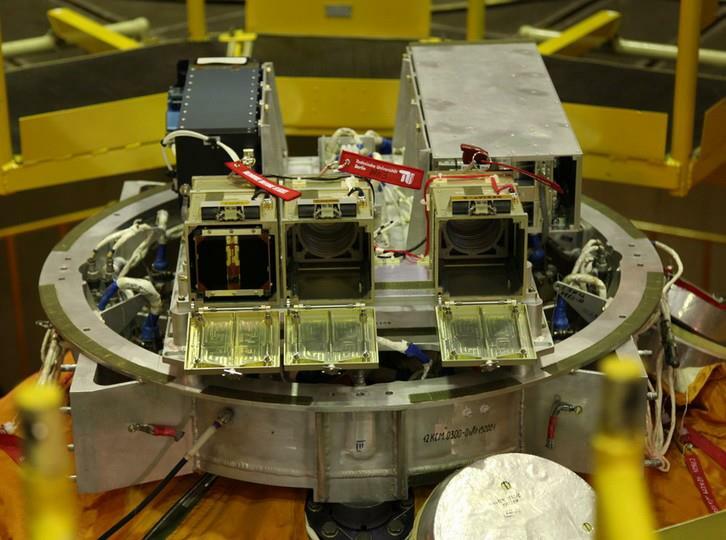 It is also an internal company technology demonstration experiment to test the capabilities of a low-cost spacecraft constrained to the 3U cubesat form factor to host a small payload. Dove 2 is licensed to collect images of the Earth and will undertake a short-duration experimental mission in a 290 km by 575 km orbit at an inclination of 64.9°. Two CubeSats, built by students at the Technical University of Berlin, are expected to launch in the 4th quarter of 2012 from Baikonour into a 575km circular 65 degree orbit. 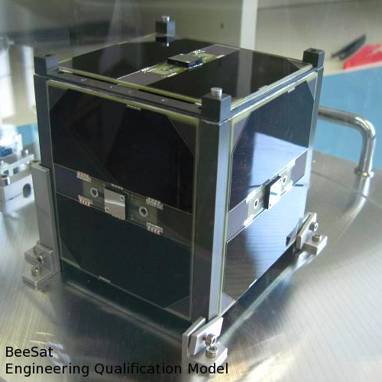 BEESAT-2 is a 1U cubesat project intended to test a reaction wheel and an Attitude Determination and Control (ADC) system. Will also carry an experimental camera. BEESAT-3 is a 1U cubesat project intended to test a transmitter using commercial S Band frequencies outside the amateur satellite service. Up- and downlink of both of these CubeSats is established by half-duplex GMSK modulated narrow-band radio at 436.000 MHz. The standard data rate is 4800 bps but can be switched to 9800 bps for increased channel capacity at higher elevations. Each transmission at the higher data rate is announced by a small 4800 bps header to allow for adaptive receiver re-configuration. The modem device used is the CML CMX909b.